Our volunteers make a significant contribution to the work and objectives of the charity. We also recognise that volunteering is a two-way street. 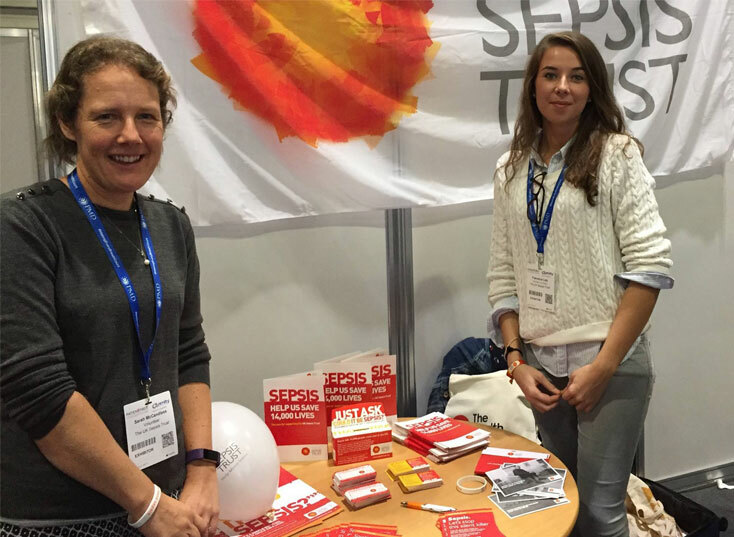 We value and benefit from the skills and knowledge volunteers can bring to the organisation and in return we hope that volunteering with the UK Sepsis Trust is a positive and enjoyable experience. Awareness raising One of the Trust’s key aims, since the beginning, is raising awareness. The more people who know about sepsis and what to look out for, the more lives will be saved! We ask our volunteers to reach out into their own personal networks to raise awareness at a community level. We have designed some resources to help you to set up events or talks to share your knowledge of sepsis and the charity. Events We always need volunteer representatives at events. When there is an event local and suitable to you we will be in touch to see if you would be interested in helping. We also keep the Volunteer Facebook group updated so make sure to check there for opportunities. Support groups Another of our key aims is to support those who have suffered as a result of sepsis. As well as providing a help line, we also facilitate support groups across the UK, and our volunteers play a vital role in making these happen. For more information, help setting up a support group in your area, or assistance with an existing group, please get in touch. Why do so many people volunteer for the UK Sepsis Trust? And what makes it so rewarding for them? We’ve asked some of our volunteers to share their inspiring stories with you.